1: Puritan (3:33) Rating: 4 Lyrics by: Mark Armantrout Record date: 06/12/2004 AAD by Brian Cameron Copyright © 2004 The Sheep Fiends Foundation. 4: Heavy Jam (3:21) Rating: 4 Record date: 04/24/2004 Also appears on: Drop In AAD by Brian Cameron Copyright © 2004 The Sheep Fiends Foundation. 9: Mellow (5:27) Rating: 3 Record date: 05/22/2004 AAD by Brian Cameron Copyright © 2004 The Sheep Fiends Foundation. Contributions by DeLonde Bell are Copyright © 1997 DeLonde Bell. Other contributions are Copyright © 1997 The Sheep Fiends. This song as recorded with The Sheep Fiends © The Sheep Fiends Foundation. 12: Song In D (1:06) Rating: 5 Record date: 06/12/2004 AAD by Brian Cameron Copyright © 2004 The Sheep Fiends Foundation. 13: Happy Jam (7:38) Rating: 4 Record date: 04/24/2004 AAD by Brian Cameron Copyright © 2004 The Sheep Fiends Foundation. 14: When You're Gone (5:36) Rating: 4 Lyrics by: Matthew Cramer Record date: 06/12/2004 AAD by Brian Cameron Copyright © 2004 The Sheep Fiends Foundation. 17: Saras Band (0:20) Rating: 1 Copyright: © 1975 Mannheim Streamroller Record date: 05/22/2004 AAD by Brian Cameron Copyright © 2004 The Sheep Fiends Foundation. 19: Hear Me Shake (5:52) Rating: 3 Lyrics by: Brian Cameron Record date: 12/26/1995 Also appears on: Lightning From The Ground Up AAD by Brian Cameron Copyright © 1995 The Sheep Fiends Foundation. Contributions by DeLonde Bell are Copyright © 1997 DeLonde Bell. Contributions by Greg Winston are Copyright © 1997 Greg Winston. Other contributions are Copyright © 1997 The Sheep Fiends. This song as recorded with The Sheep Fiends © The Sheep Fiends Foundation. 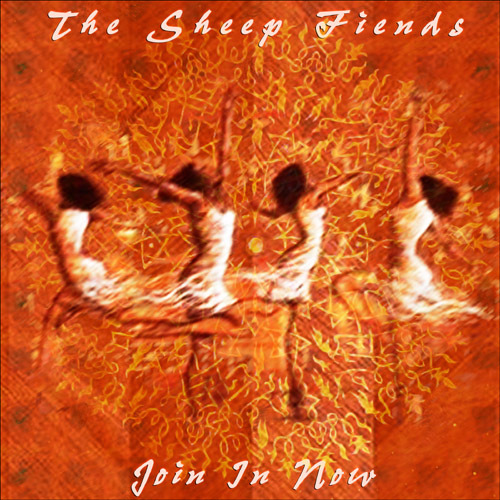 21: Sea Of Nothing (9:05) Rating: 5 Lyrics by: Brian McNally Record date: 04/06/1999 AAD by Brian Cameron Copyright © 1999 The Sheep Fiends Foundation. 24: Down By The River (3:55) Rating: 5 Lyrics by: MX Skroch Record date: 11/18/2001 Also appears on: Take Me Down AAD by David Ladd Copyright © 2001 The Sheep Fiends Foundation.